Pair of Vintage Original Mid Century Modern Lounge Chairs. 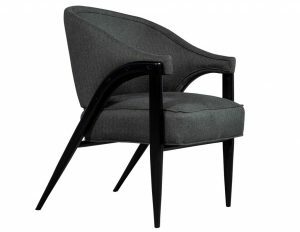 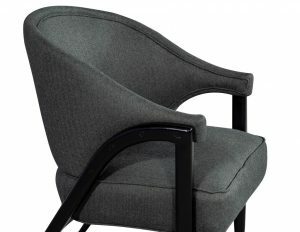 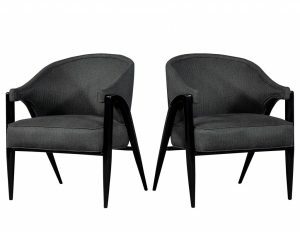 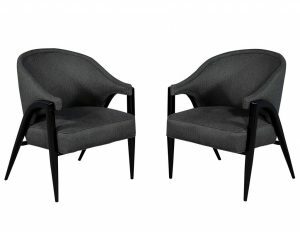 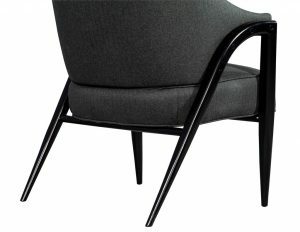 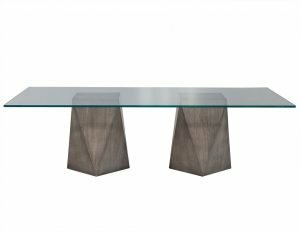 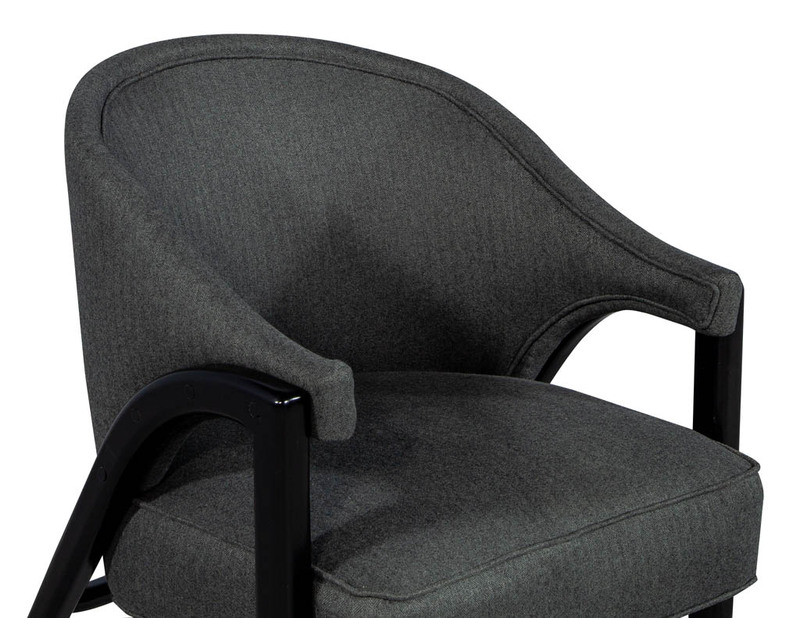 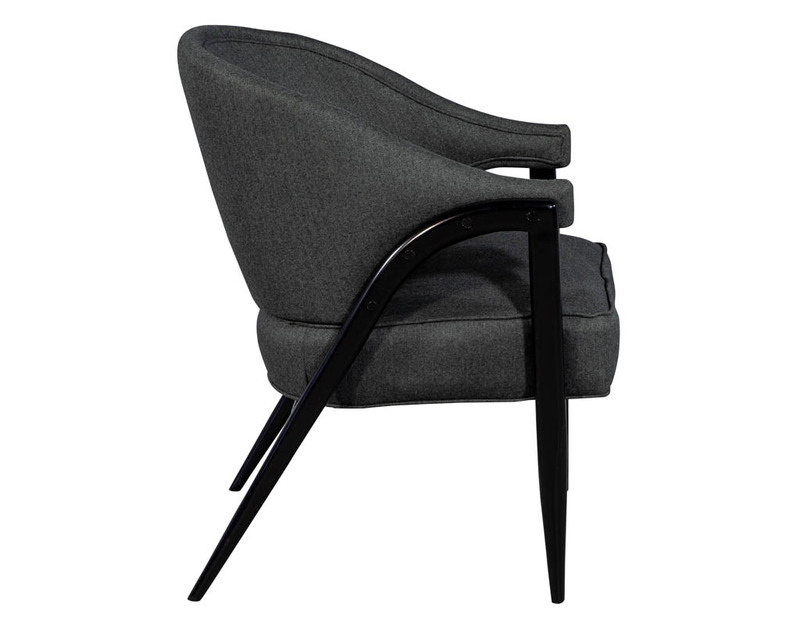 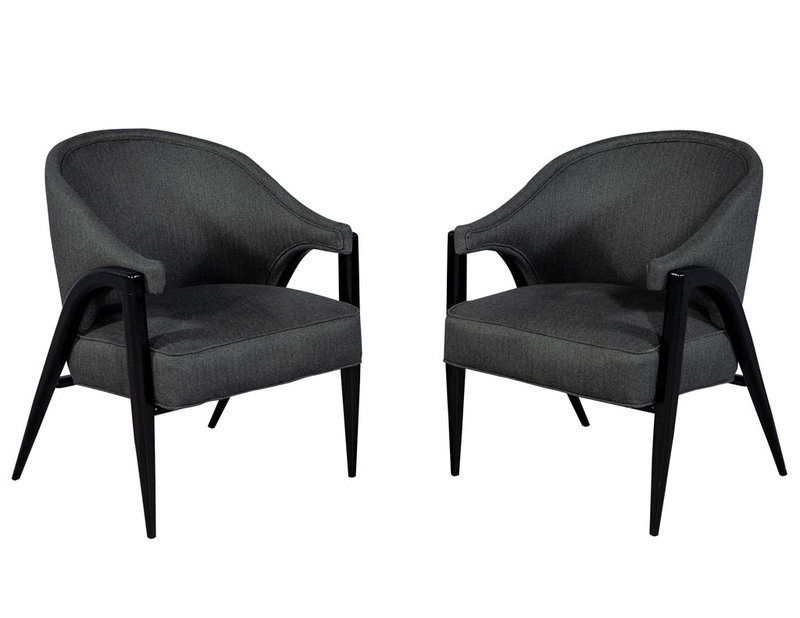 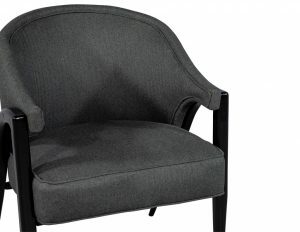 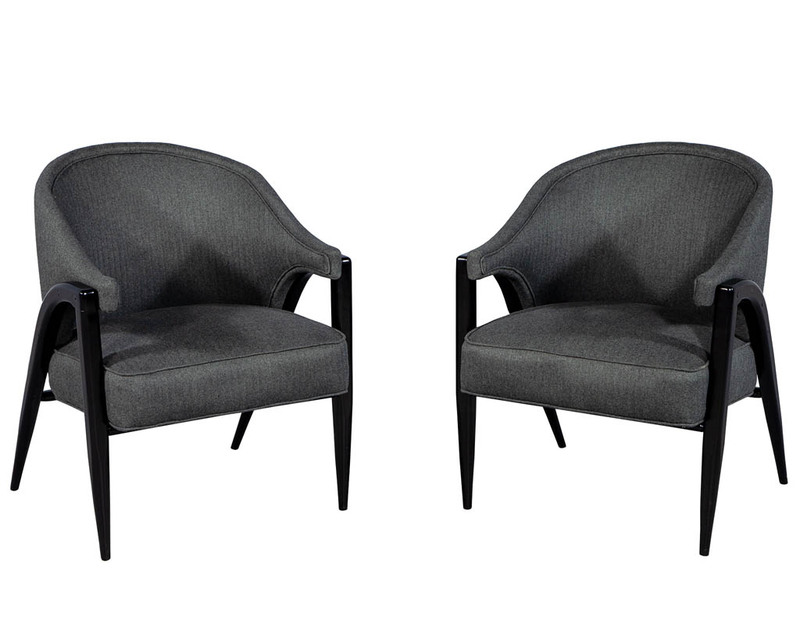 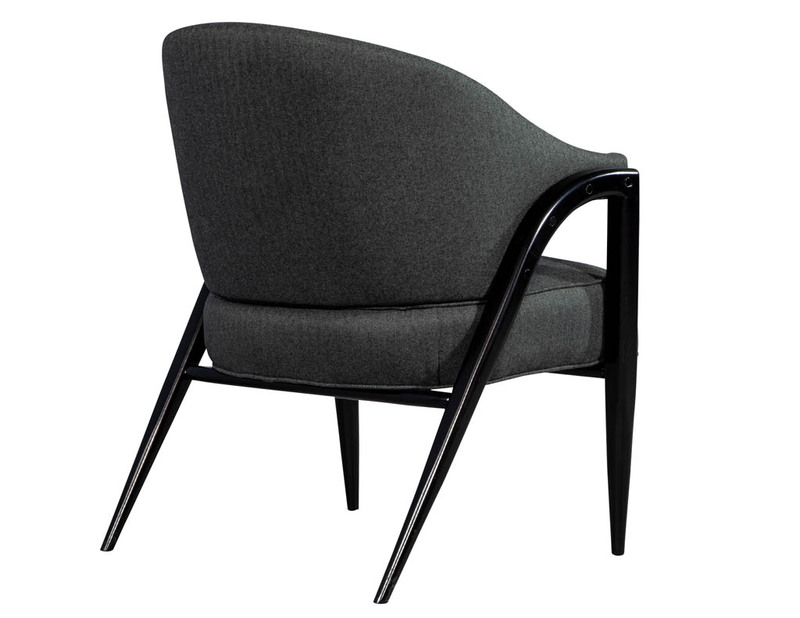 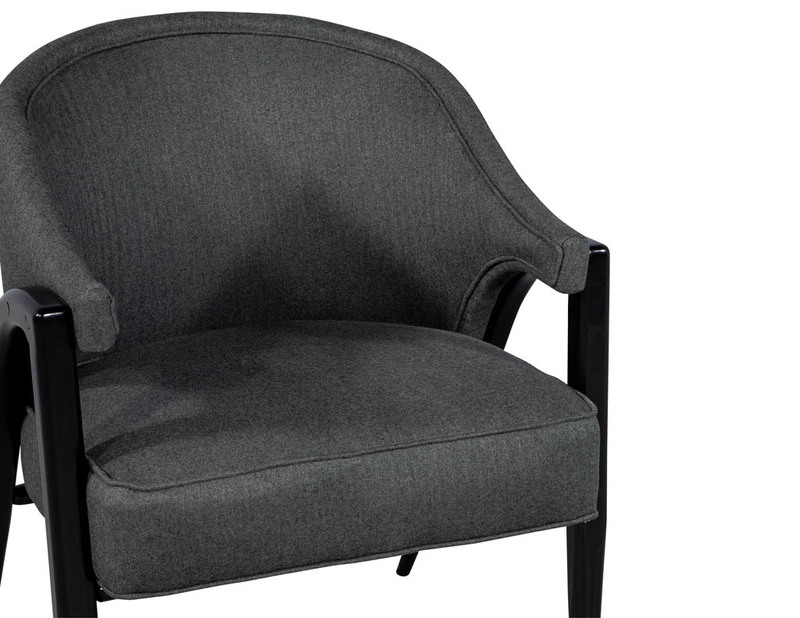 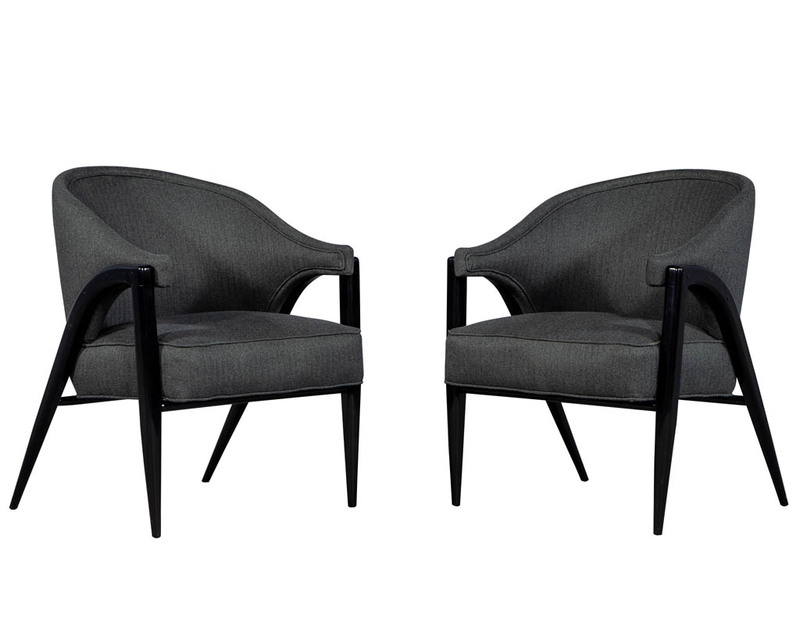 Featuring sleek curved backs with curved legs recently upholstered in Maxwell – Bowery ESS #801 Charcoal. 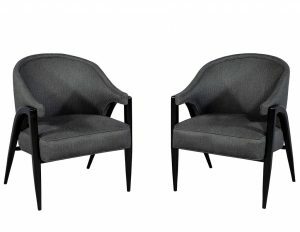 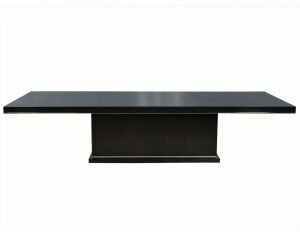 Finished in a rich satin black lacquer.